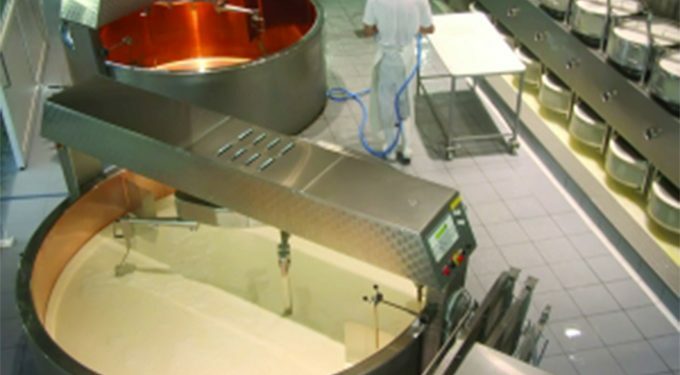 Food and beverage manufacture is the process of taking raw ingredients and transforming them, by chemical or physical means, into food for the convenience of the consumer. Food and beverage ERP supports an industry that supplies most of the food consumed worldwide. Only self-sufficient farmers who eat what they grow can be considered outside of the modern food and beverage industry. Not only do consumers now demand more variety and innovation from food manufacturers, but also show a growing concern for quality and source of the ingredients used; meaning documentation and traceability has never been so important. To juggle this with low profit margins and perishable ingredients and stock mean food and beverage manufacturers often need a superior ERP solution. SYSPRO integrates manufacturing, accounting and distribution processes to create an overall more efficient operation so data needs only to be entered once. Inventory management accurately forecasting stock requirements through seasonal and industry trends combined with previous order data to keep stock levels proactive rather than reactive, keeping waste to a minimum. How can syspro ERP help? SYSPRO’s Quality Management System (QMS) enables product quality control by allowing the configuration of multiple measurement metrics, as well as inspection points per inventory item, such as length, chemical composition and hardness. This configuration includes the allowable tolerances for each metric and inspection frequency is configurable as required. For example; full, partial, periodic and random quantity sampling is supported. SYSPRO’s lot traceability and serial tracking functionality afford full visibility to the origins, build and customer destination of products and batches, thereby providing the means to rapidly trace and analyze the source of defects, should they occur. In addition, SYSPRO’s Engineering Change Control module enables complete management and traceability of changes to product designs, while the Return Merchandise Authority provides consistent handling of product returns, as well as analysis data for improvement programs. The SYSPRO Goods in Transit system provides the facilities to create, manage and monitor transfers between multiple warehouses and provides complete visibility to the status and details of in-transit transactions. It gives you the tools to easily create and receipt stock transfers for each warehouse, capture transfer costs, identify and adjust exceptions as they arise and to reconcile transfers sent and received in terms of cost and quantity. The system provides a detailed financial sub-ledger and enables easy reconciliation to SYSPRO’s General Ledger. SYSPRO ERP provides essential integrated visibility to your accounting, distribution and manufacturing operations, thereby enabling you to easily identify and track your cost elements and to target areas of waste for improvement programs. Additionally, it facilitates the automation of many processes that have traditionally been labour-intensive and time-consuming, such as operational-to-financial reconciliations, and communicating with trading partners. SYSPRO’s Material Requirements Planning gives you clear visibility to the integrated effect of current and future supply and demand, thereby enabling you to make better purchasing and production decisions and reduce excess and obsolete inventories. The inclusion of sources of supply and demand is configurable and various reports and related review programs enable easy potential oversupplies and seamless execution of suggested actions. Also, order policies by stock code at warehouse level enable you to implement lot-sizing rules for purchased and manufactured items. SYSPRO ERP comes loaded with all the modules manufacturers need to operate their business. but you’ll make use of some more than others. Here we’ve selected the modules we think will be most important to food and beverage manufacturing.